Phew, every year I feel like so much about my life has changed, but this year is really exceptional in terms of exciting changes. My 2017 actually began by DJing a New Year's party with an artist by the name of Masego, easily the biggest act I ever opened up for. Not even a week after that, I was booked to play a gig at the ever-popular East Room in Logan Square. This had been one of my favorite spots to go dance since I moved to Chicago and basically the one place I have always wanted to spin at, so it was a major bucket list item for me. Additionally, East Room was voted the best hip hop club in Chicago by the Chicago Reader this year. It was a nice place to add to the DJ resume. With all of that being said, it was safe to say I started my year off right. Things were really starting to pick up steam for me in the creative world in Chicago, but I was feeling very empty and unsatisfied with my day job. To make matters worse, business at my job was slowing, I had taken a pay cut at one point (I got my original salary reinstated eventually) and had not gotten a raise for the past three years of working there. Although there were some really great aspects of that job, the bad ones were starting to outweigh the good ones. Thankfully, It didn't matter to me too much because I was extremely occupied with other aspects of life like DJing, freelance writing, hosting a podcast, skating and biking. However, I was still looking to improve my situation in that area somehow. Around February I got an email about a position opening with a company called INTO University Partnerships in San Diego that sounded really interesting and I knew I was qualified for it. The position was essentially being a consultant to U.S. universities that were trying to increase their international student population. I had no interest in moving to San Diego, but I took the interview anyway just to see how it would all play out. After the interview I was actually really interested in the position, even though San Diego sounded like a drag to me. I was really optimistic about getting the job offer or at least a follow up interview. After following up with the interviewer a few times, she informed me they were still making a decision on the position, but assured me I was still a top candidate. After a few months I basically just decided to move on and forget about it in order to not give myself false hope for getting an offer. However, while I was waiting for a decision from INTO, I was still living my best life. In April I took a solo trip to Iceland, which I wrote about here. 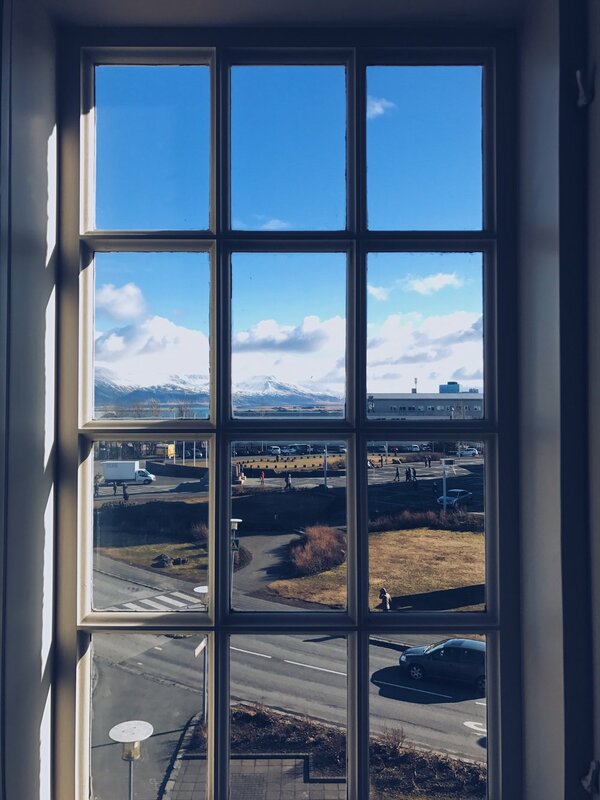 I had a wonderful time exploring Reykjavik and some of the surrounding areas. Check out some of the photos from Iceland above. Only a few weeks after that in May, I dipped out to an amazing music festival called FORM Arcosanti. This may sound pretentious, but in order to attend this music festival you actually had to personally apply and get invited, you were more likely to be accepted if you were some sort of artist yourself. Essentially, they tried to make a music festival by creatives and for creatives. This might have been one of the best weekends of 2017 for me, and absolutely one of the best music festivals I have ever attended. The vibe and community I experienced there was something unlike anything I have ever felt before and I made a genuine connection with some really amazing people. Throughout 2017 I took two major bicycle tours. Both of them departed from my apartment in Pilsen, Chicago. One was to Milwaukee and the other to the Indiana Dunes. These were the first major bike trips I have ever taken, but both were incredibly successful. They were extremely tiring and challenging, but successful. The Milwaukee trip was to visit on of my best friends, Liza Stenz, for her birthday. My plan for the Indiana Dunes trip was to meet up with my parents and camp out there. The total mileage between both trips was about 400 miles and I never had to change a flat tire. This year's summer in Chicago was summer in Chicago, if you have ever lived in Chicago in the summertime you get what I mean. If I wasn't taking a weekend trip somewhere, most of my days were filled skating, biking, grilling out in backyards, daytime street festivals and just enjoying the weather. Of course these days were accompanied by late nights out with friends and early morning uber rides or bike rides home. I truly miss those days, but right now I am on the other side of the world creating new memories. Oh yeah, my friends and I also threw another really dope Windy City Riot, the annual Chicago street skating competition, this summer. At one point this year, a few of my friends and myself decided to start a podcast dedicated to showcasing the local culture and art scene of Chicago. After some brainstorming sessions we decided to call it Rip Rop and I was determined to be one of the two co-hosts. The concept was; we both bring on a guest (usually a Chicago creative) and do not consult with the other co-host. This resulted in what we would refer to as a blind date of discussion, since neither the hosts nor the guests knew anything about one another. In September, we recorded our first episode of Rip Rop. This was the project I was most sad to leave behind when I left Chicago as I felt I did not let Rip Rop reach its full potential before I left. However, they replaced me with a new co-host and will continue to record podcasts and hopefully I can check in remotely from time to time. In October, I DJed a really amazing event called Secret Sauce. There were some amazing artists on the lineup, but I was basically given the primetime spot for my DJ set and (in my humble opinion) crushed it. I had the whole room grooving. That was my favorite DJ set of 2017, without a doubt. Thank you to everyone who attended and danced with me. I appreciate you. The week before I left for my Indiana Dunes excursion I got some news from INTO. They said they have decided to move forward with me as the individual they would like to hire, but there was a catch. The position was no longer located in San Diego, but I would be based in Hong Kong instead. This caught me by surprise. They asked if I was interested and I immediately said yes, because, why not? Also, I figured if they took damn near seven months to get back to me about a position in San Diego, they would probably take even more time to make the decision to send me across the world. Even though they made a soft offer and everything seemed to be going to plan, I had not yet received an official offer from the employer. For that reason, I decided not to announce it to my friends that I was likely leaving, because who knows what could happen without a signed agreement. I really wanted to avoid telling everyone I was moving then have to retract that statement later. Knowing it was highly likely I would move, not only across the country, but across the world and not being able to tell my friends was one of the most difficult things I have ever experienced. I visited Appleton in this time where I knew, but the majority of the people in my life were unaware of this upcoming move. The visit was for Oktoberfest weekend and my sister was in town too. We went to the Packer game that Thursday night and on Saturday we partied for Oktoberfest. I had so much fun, but this was a particularly difficult weekend for me. I was feeling extremely nostalgic being back home knowing it'd be the last time for a while, but not really being able to outwardly express those feelings because no one knew that I would be moving away shortly after that visit. On October 13th, to be exact, I got the Hong Kong job offer signed, sealed and delivered. I was able to confirm without any doubt that I would officially be moving to Hong Kong. It was at that point I decided to let everyone know, but I only had a month left to say farewell. I arrived in Hong Kong in November. Since I have been here, I have learned so much about the world and myself (I often use this phrase, but I try to look at everything as a learning experience and self-reflect on my experiences quite often). It has been challenging, but simultaneously rewarding. I am making lots of new friends and connecting with all the right people. I have already made some meaningful connections in the world of art and music in Hong Kong and made some new skater friends as well. Also, my good buddy Jared Reddrick recently compiled footage from some of the skating I did in Chicago throughout my last few months there and made a decent little edit. I always find it exciting to watch myself skating, it might be narcissistic but whatever. Outside of my Instagram stories, I have realized I am actually quite private about my personal life on social media. I rarely post on Facebook and if I do, it is usually a self-congratulatory post about something I am proud of myself for doing, or sometimes I post there if I am promoting a DJ gig or a project I am working on. I am pretty active on Instagram, but most of my photos are of scenery or architecture, sometimes there's a short video of me skating but that is a rare occurrence. An actual photograph of me is usually an even more rare occurrence. I am not shy nor am I trying to be mysterious about my life, this is just what I end up sharing with the world. Sometimes this worries me. Considering the abundance of mental health issues and anxiety and depression in our society, I realize I have the privilege of having a rather positive mentality about most aspects of life. I am not saying I do not experience anxiety and depression every once and a while, but rather that these sort of issues are not debilitating enough to effect my productivity and perspective on life. I worry because if everything I post is about how great my life is, I do not want to come off as self-righteous, or worse, seem like I am rubbing my success in other people's face. I also worry that I might unintentionally worsen someone's depression when they see what I do on social media because I am always sharing the good without the bad. If I have ever alienated anyone or made them feel bad about themselves because of something I posted on the internet, I apologize. However, I had a discussion about this with someone whose opinion I value. They helped me to understand that the stories I choose to share with people via social media can be very inspiring and not interpreted as arrogance. I enjoyed hearing this and I am choosing to adopt this perspective as well. Therefore, I decided I have two goals for 2018 they are to stay inspired and to keep inspiring.